I knew I wanted to publish my first book, and that learning to write every day was the key to doing it. But, it wasn’t enough to know the concept. I had to figure out how to keep my deadlines and finish writing what I started. How could I write every day and balance having a job, two kids, friends and family who don’t write, and all the in-betweens? I faced my biggest challenge yet. If couldn’t face this one down, I’d never be able to call myself an author. I’d never be able to look myself in the mirror again. I turned to a book for help, in particular On Writing by Stephen King. I figured this prolific author of over 50 novels could help me. 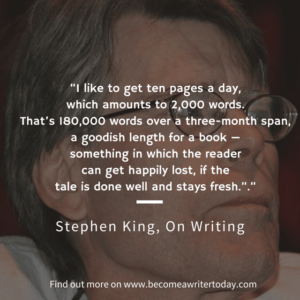 King writes at least 2,000 words a day, every day, including his birthday. 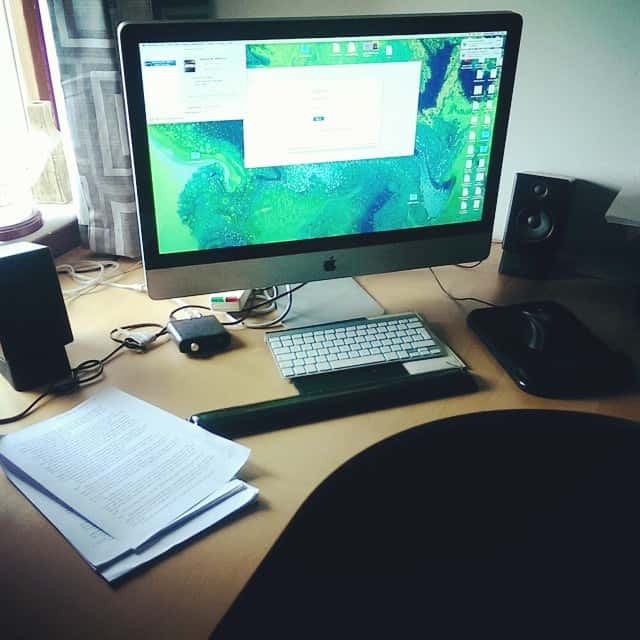 To me, 2,000 words a day looked like climbing Everest. ”As with physical exercise, it would be best to set this goal low at first, to avoid discouragement. I thought about writing 1,000 words a day and felt dizzy. I set the goal even lower and decided to write just 500-words a day. I could handle 500-words a day, couldn't I? Now, 500-words a day felt achievable. So, on Monday morning, I wrote 500-words, and on Tuesday I did the same too. On Tuesday night, life happened. My daughter (who was 6-months-old at the time) woke up at three am with a chest infection. We didn't get much sleep that night and the following day, I didn't write. I was just too tired. I didn't write the day afterwards either, by the time Saturday rolled around, I'd only produced 1000-words. I was sick of my writing mistakes, and I felt like a failure. Then, I discovered a neat writing trick Jerry Seinfeld relies on. 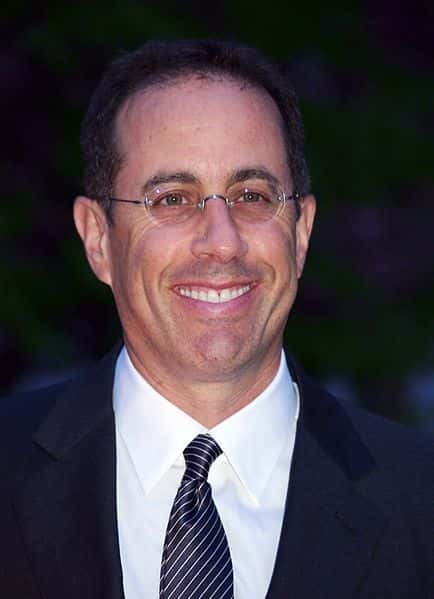 Before Jerry Seinfeld became famous, he tasked himself with writing just one joke a day. Jerry knew writing one joke every day, would enable him to produce more material and master his craft faster. So, Jerry got a large wall calendar and pinned it next to where he worked on his jokes. After writing a joke, Seinfeld recorded an X with a red marker through the day's date. He did this each day, thereby slowly building up a chain of Xs that he felt reluctant to break. The comic is a believer in the principle of small daily wins. Like anyone who has mastered a habit, Jerry understands that skipping one day makes it easier to skip the next. And the next. And the next. After a few days you'll have a chain. Just keep at it and the chain will grow longer every day. You'll like seeing that chain, especially when you get a few weeks under your belt. Your only job next is to not break the chain. If this daily writing technique helped Jerry, it could certainly help me. This writing technique doesn't cost much to apply. You don't need to spend thousands of dollars on a fancy MBA or even commit to expensive and time-consuming writing workshops. I couldn't afford any of those things when I was starting off. So like Jerry, I bought a kitchen timer and a calendar for the month, and I hung it over my desk, in the office where I write every day. I sat down, disabled my internet access, turned off my phone, and closed the door. 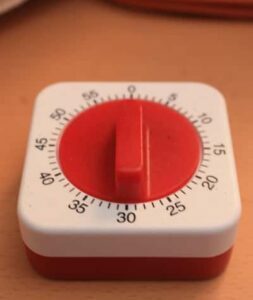 Next, I picked a single chapter from my book and set my timer for 30-minutes. I wrote about a topic in this chapter without stopping to edit myself, until the buzzer sounded. When I completed my 30-minute daily writing session, I marked an X through the day’s date on the calendar in front me. I’ve never felt better about an X. Each day I wrote, I marked an X on the calendar, until I built up a chain of Xs that I didn’t have the heart to break. (This is a psychological trick I still use to write today). In just seven days, I had written over 3,500 words of my book. Granted, my words were far from perfect, but I’d got them out of my head and onto the blank page. If you’re new at writing a book, that’s almost always the hard part. 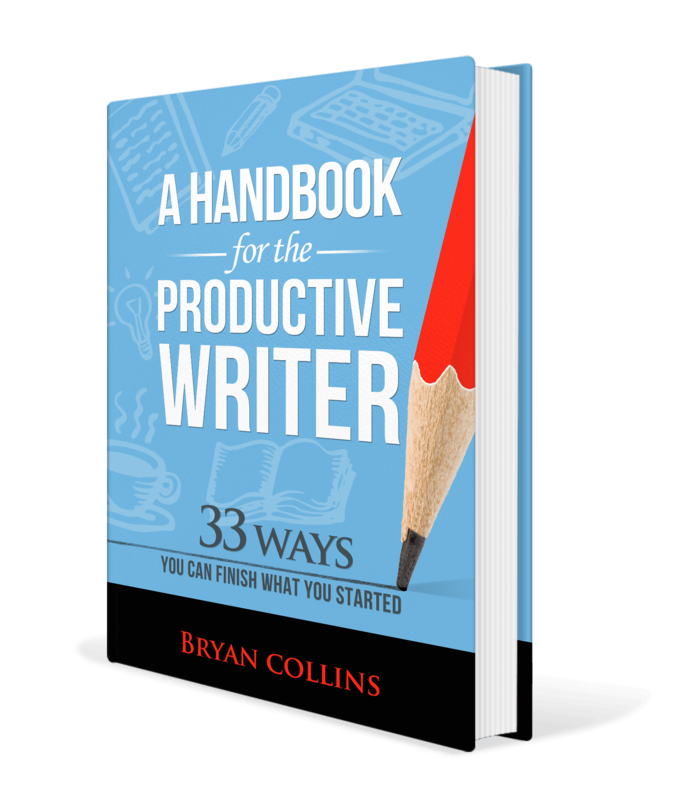 A 30-minute writing session is the right amount of time if you want to gain momentum on your first book. It’s not so long that it feels unmanageable, and it’s not so short that you won’t get anything done. A 30-minute writing session is long enough to write 500-words, and it's easy to squeeze in a 30-minute writing session into a busy day. I don’t know about you, but I’d take 500 words over watching a re-run of Seinfeld (sorry Jerry!) any day. 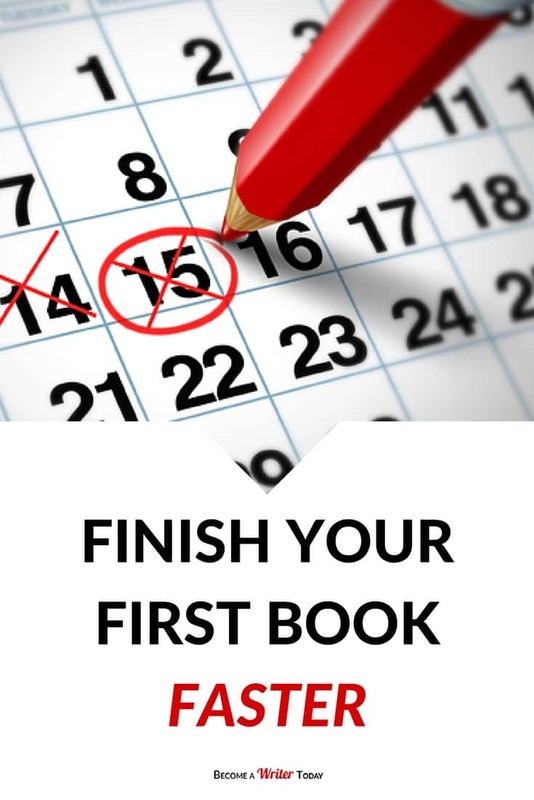 I’m sharing this practical writing advice with you because I want to help you finish your first book. I want to help you call yourself an author. If you build up a chain of 7 Xs, you will have written for 3 1/2 hours and at least 3500 words. That’s more than enough for one or two chapters in your first book. If you do this for four months, you will have written 60,000 words. Although King's books are up to 180,000 words long, it just so happens 60,000 words is the length of an average published book. But, what about editing and rewriting? You can use a 30-minute writing session to work on a single topic, to edit a section of your book, or to do research. The trick is to only work on one area of whatever you are writing for 30-minutes. I’m not the only writer who uses this method. I tried setting a 30-minute timer the day after we talked and got a piece of micro-fiction written. One of the best things I have taken away from talking to you is the segregation of writing from research. It has helped me a lot so far. If you still need help writing every day, join the Savvy Non-Fiction Writer's Club. I’ve always wanted to write a book, although I’ve never tried… further, I’m not sure — at this given moment — what I would write about. 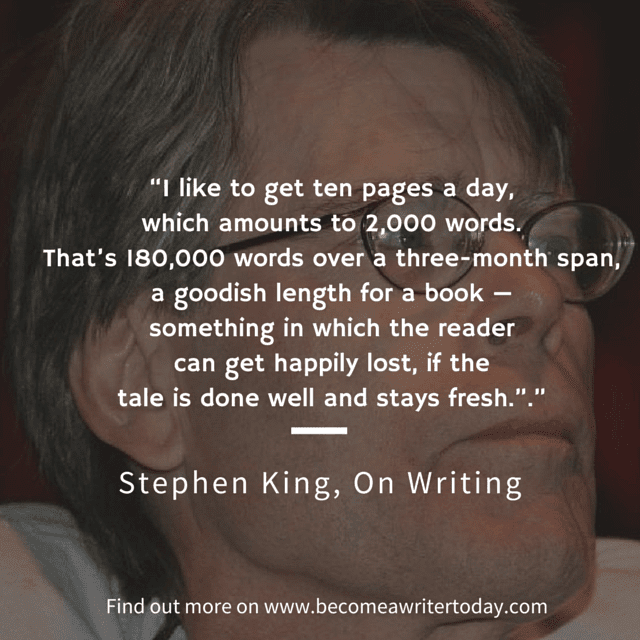 But I am a huge fan of Stephen King, and I like his advice about writing 1,000 words daily to start. 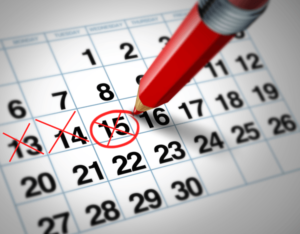 The psychological factor of crossing the day out on your calendar? Makes perfect sense to me. I published a post a little while back on goal setting, and I am a big fan of visualization. I like to print out giant, blank thermometers and color them in as I make progress. I hang them in my office and it reminds me that I’m moving in the right direction. Good to hear you liked the post. Stephen King offers great advice for writers. I like setting goals for writing because it’s easier to see if I’m making progress or just procrastinating. I read the variation long ago on Jeff Goins’ blog: don’t write a lot. Just write often. And you know, it greatly aided my writing skill. I practised writing everyday without fail and soon my writing was getting better. At first, most ofthe stuffs I wrote were crap. Yet getting those out of my head was fun and it stretched my writing muscles. These days, I’ve got a challenge though. Truth is, I have not written in one month (yes, I do a lot of scribble here and there,but I judge having written with completing a daily writing task of 1000+ word every morning). Dunno whats the cause, but I found I face the empty page and, wsell, I’m just blank. Do you think times like this will always occur in a writer’s life? Writing often is the best way to increase your word count, become a better writer and most importantly of all finish more books. You have to write a lot of crap to get to the good stuff. It’s natural to face the blank page and sometimes think you’ve got no ideas, which is why I recommend keeping a swipe or ideas file full of topics that you want to write about. You should add to this every day and review it when you feel blocked. This way you can avoid having nothing to write about. I like the idea of just 30 minutes a day – it’s achievable and it’s not too much of a show stopper mentally. After all, it’s less than the length of a TV program or other distraction. And there’s always the option of pressing “reset” on the alarm and going for another half hour on those days when you find yourself in the flow. The discipline of writing daily is an excellent idea as well. Habits take a while to form (between 2 weeks and 2 months depending on who you believe) but once they’re there, it’s a lot easier to keep to them because you start to feel like something’s missing if you don’t do them. You’re right: it’s completely achievable. 30 minutes a day is how I got started. It takes about 4-6 weeks for form a habit but once you do, writing becomes a lot easier. If you’re struggling to write and build an author platform, put up a simple webpage about your book and then just concentrate on getting the book finished first. and You can always build out your site or blog later. Remember, these things get easier as you practice them. I’m going to try the ‘don’t break the chain’ method now! I always have tried to write, but slowed down around the middle of my novels and never finish them. Thank you for this great idea. It’s a great little trick for writing more.